Wow! Sunny with a combination of character & sophistication. Delightful front porch for people watching in this Neighborhood Business District condo. Eat in kitchen updated with new flooring, five burner stainless steel gas stove, maple cabinetry, creamy granite counter tops & large walk in pantry. 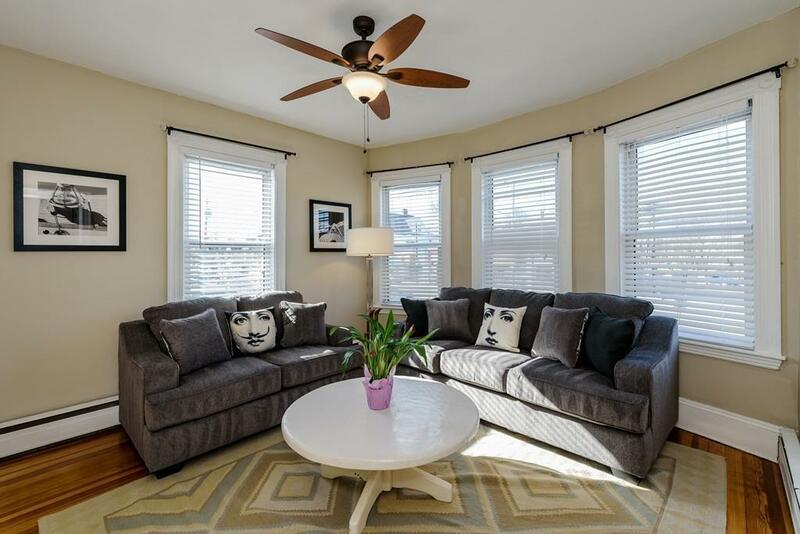 Steps from Cambridge and the 71 & 73 bus ride to Harvard Sq outside, the location of this East Watertown condo is nestled into Shaw’s Supermarket, Intellegentsia Coffee Cafe, Sofra and along side Fresh Pond Reservoir & Golf Course with dog park near by. Black and White tile bathroom, three bedrooms, 1757 sq ft of private space including the direct access exclusive basement great for many uses. Pocket doors, nine foot ceilings, professionally upgraded closets and private laundry room are key features included here. Four unit building with newer front decks, common lighting, young rubber roof, upgraded electrical service and new panels for each unit. Shared driveway & easy street parking.